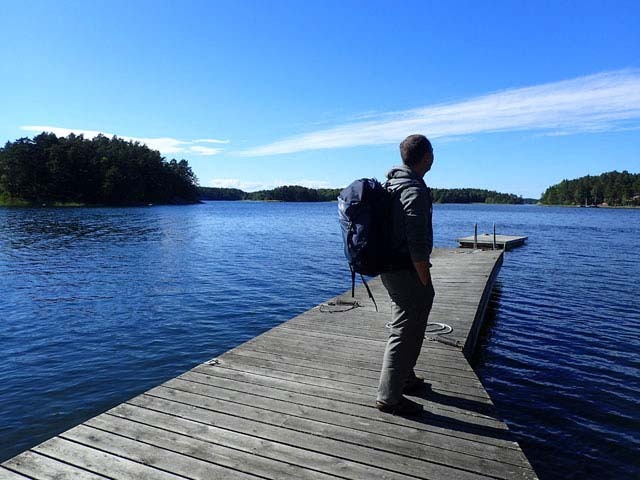 Bob and Sofia from the Nature Travels team take the Thule Capstone 50L backpack (men’s fit) on holiday to the Stockholm Archipelago. Following our review of the Capstone 32L pack back in May, with summer now in full swing, it was time to put the larger 50L version to the test. 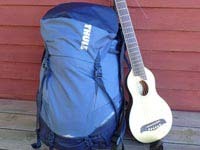 Where better to try out the pack than in Sweden, returning our Capstone to its spiritual home! 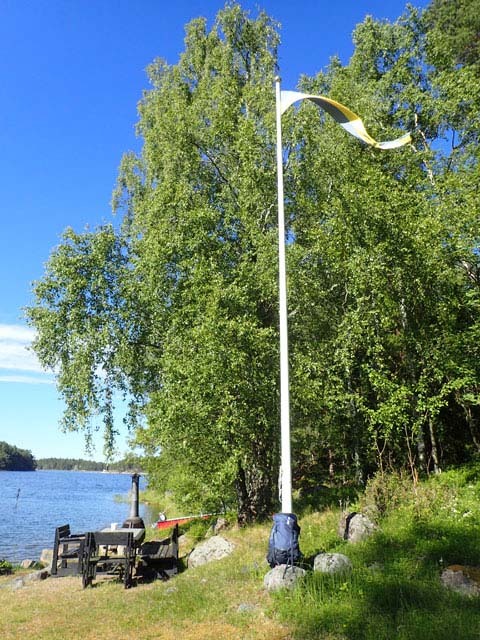 We look it on a two-week trip to the Stockholm Archipelago, which, in case you haven’t yet discovered this world-class gem, is a stunning network of islands off Sweden’s east coast. Whether they total 24,000 or 50,000 is open to debate depending on what counts as an “island”, and such discussions have long occupied Swedes late into the night, but either way there are plenty to choose from! 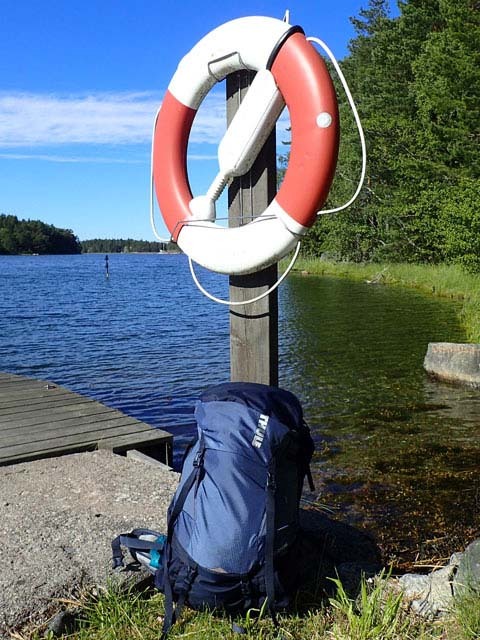 The Thule Capstone 50l on holiday in the Stockholm Archipelago! Photo: Nature Travels. 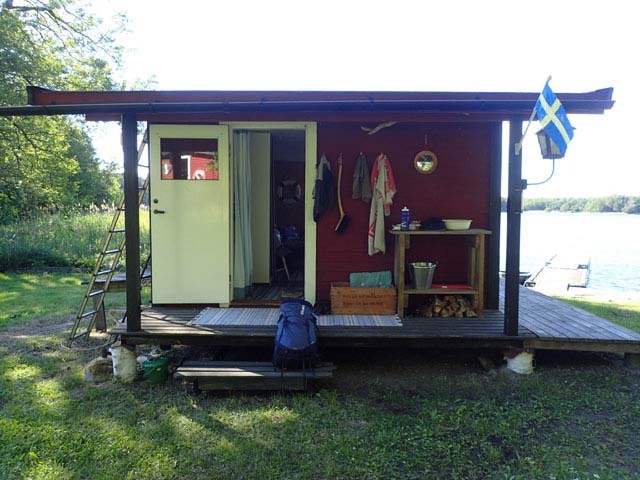 Sofia and I would be staying in our “sommarstuga”, a small, simple cabin in the middle archipelago, joining the traditional Swedish Midsummer celebrations, taking it easy, spending some time with family (Sofia from the Nature Travels was born in the archipelago), doing a bit of swimming (depending on water temperature and how brave we were feeling), some hiking on the surrounding islands and some day tours by kayak. Enjoying the beauty of the Stockholm Archipelago. Photo: Nature Travels. Dropping by for Midsummer would be Niki and Jayne (and of course Elky) from the Nature Travels team as they spent some days kayaking on our Stockholm Archipelago Self-guided Kayak Explorer experience, which starts/ends not far away, but that’s another blog post – watch this space for their trip report shortly! I hadn’t intended to take the Capstone 50L as hand luggage, but when it came time to pack, I realised that when Sofia and I had purchased our flight tickets a few months before, we’d decided to book only one hold bag between us. 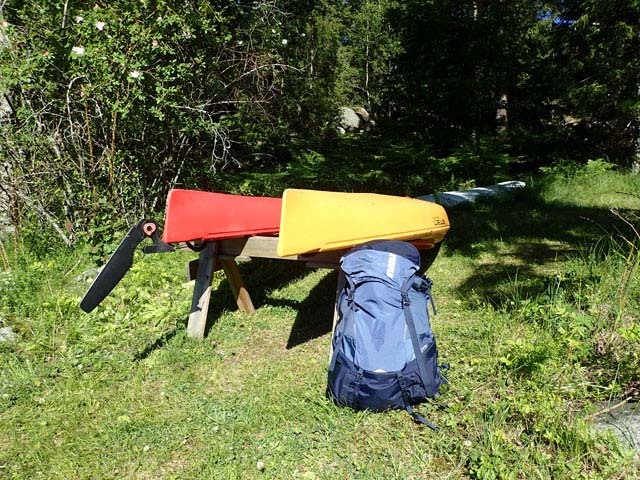 Lightly-packed, the Capstone came in just under the Norwegian airlines hand baggage limits (55cm x 40cm x 23cm) at 55cm x 38cm x 23cm, so I was all set! 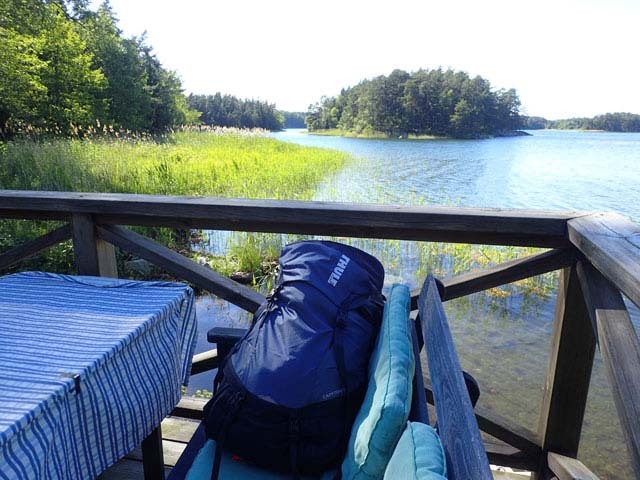 Over the next couple of weeks, the Capstone was put to good use – as travel luggage for the outward and homeward trips, as a pack for day hikes and picnics on neighbouring islands and even for a day walking in Stockholm. Getting ready for a short kayak tour. Photo: Nature Travels. 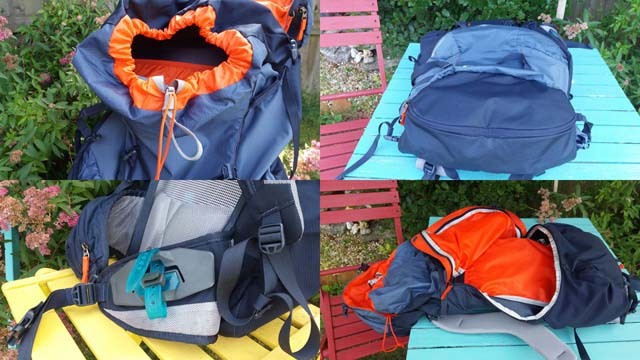 Not surprisingly, the Capstone 50L is almost identical to the smaller 35L version in terms of features but with extra capacity and the addition of a front access zip (protected by a storm flap), making it easy to get to the main contents of the pack without opening the lid and drawstring. Like its smaller cousin, it’s reassuringly solidly-built, with all the drawstrings, clips and zips looking very rugged and working smoothly. The back system is easily adjustable, making the pack very comfortable to walk with for extended periods, and the mesh ventilation makes a real difference for active use. The large “shove-it” pocket at the front is great for jackets or a picnic blanket and there’s also an integral raincover which tucks away neatly into a pocket at the bottom. In general the pack is practical, unfussy and very usable. It was, predictably, a bit too big to be ideal for a day pack, but then that isn’t it’s intended purpose, but was still perfectly usable in this way and, since you never know what you’re going to get with a Swedish summer, had plenty of space for rainclothes and extra layers for two persons just in case! The outside hip pockets hold water bottles securely within reach without needing to take the pack off. The Thule Capstone celebrates its Swedish heritage! Photo: Nature Travels. The only thing I kept finding myself reaching for and being surprised it wasn’t there was a zip pocket on the inside of the lid – this would have been nice. But the outside pocket on the lid is enough to hold all the small things you’re likely to need in a hurry and also has a key holder clip, which is always a useful addition. Although we haven’t had the chance to use the Capstone for a multi-day hike yet, I can certainly see it working well for trips when you can travel light without the need to take too much in the way of camping equipment or provisions – a week’s hike between cabins in summertime would suit it well. The “Versaclick” system on the hip belt (which can also be used with other fittings purchased separately such as a camera holder) is ideal for keeping hiking poles out of the way when not needed for short periods. 50L is a very usable size for a pack – large enough to get most of what you need in, even for a multi-day trip, while small enough that you can use it for day trips at a pinch too without it feeling overly bulky, especially if two persons taking one bag. Where shall I take my pack today? Photo: Nature Travels. The Capstone does the job very well – it’s comfortable, classy without being flashy, and gives the impression that it will put up with a lot of rough treatment. With the possible exception of an inside lid pocket, it has everything you need. With an RRP of £140 (though currently available at around £120 or less), it’s not a budget pack, but as we’ve said before, provided you’re going to make good use of it, quality gear that will last for years can be both a sounder financial and environmental choice than cheaper alternatives. Plus it’s Swedish, which is in our opinion almost always a very good thing! Note: The pack we have differs slightly in features from the demo video above: The drawstring at the top of our pack has one loop to hold rather than two, one pocket in the lid rather than two, and a slightly different way to fasten hiking poles to the side of the pack. It also has the “Versaclick” hip belt attachment, which is not shown in the video above – see the video on our review of the Capstone 32L pack for demonstration of the Versaclick. Features of the Thule Capstone 50l backpack. Photo: Nature Travels.